- It's the team of Jonny Fairplay and the Grappler coming LIVE from the House of Action, the Portland Sports Arena! An excited Fairplay talks up an upcoming Thursday Night Special set for February 28th! Details on the card are upcoming! The Grappler says the biggest draw in the area won't be in a match on the card to which Fairplay interupts and says Buddy Rose's name. The Grappler doesn't laugh. Moving right along, Fairplay talks about the matches tonight with both the ladies and Top Gun in action! They are joined by another young man who comes out and says that he is here to clear up a problem for Firestorm and help him to move back to the top, beating the likes of Trent Acid would move ANYONE to the top of the heap. - Commercial Break with a rundown on this evening's television line-up. Kenny Casanova: Do you want to be a wrestler? Ever thought about being a manager or valet? If you answered yes, then FALK U! is the answer! Call the number that you see below today! All of the secrets of the Tony Falk FALK U! system are in these books right here. You'll be better inside and outside of the ring! I ... GUARANTEE ... IT! Don't walk ... run to the phone right now! - Angel Amoroso w/Larry Oliver versus Alexis Laree. Referee: Thomas Rodman. Much of the talk in the match is Angel's bringing in of Larry Oliver to aid her in trying to relieve Paul Lauria of his Four Leaf Clover that she feels has aided him in his winning. The match itself has Angel brawling and Laree doing her best to avoid being hit and then tossing her opponent around with arm drags. Oliver gets involved yanking Laree off of Amoroso and tripping her up right into the arms of an Amoroso DDT to end the match. - It is Trent Acid backstage with Amy Vitale. 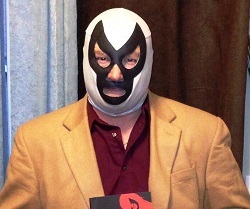 The charismatic Acid says he's here in the Pacific Northwest to solve each and every problem the place has. He asks her what he can fix for her but Amy just throws it to the commercial break. - Commercial Break with a rundown of the CWUSA's House Show schedule. 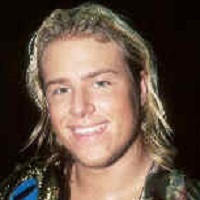 - Taped Piece about British wrestler Adam Windsor coming to America and Championship Wrestling USA! - Top Gun versus Chase Stevens. Referee: Thomas Rodman. TG attacks before the bell but the young Stevens is able to make a come back, nearly pinning the masked man. Banter between Fairplay and the Grappler brings Bryan Alvarez into the discussion. The Grappler does not compare Alvarez to a "real" wrestler like Stevens, who is also very young but is obviously an athlete. Top Gun is on the ropes but suddenly knocks out Stevens before making the cover. Top Gun looks to be hiding something in his tights before being chased off by Buddy Wayne and Bryan Alvarez. 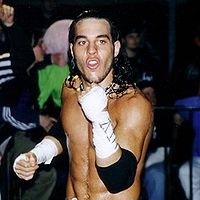 - Best 2 out of 3 Match: Adam Firestorm versus Trent Acid. Referee: Thomas Rodman. Early talk is on Trent Acid's wrestling history. While the Grappler isn't impressed, Fairplay talks up his time in ECW. Fall #1: Fast and furious with both men trading off some high risk moves and near pinfalls that gets the fans out of their seats as well as a nod of respect between the two. Speed picks and first fall comes off a missed clothesline by Firestorm and followed by a running boot by Acid. Fall #2: Picks up quickly as Acid stays on Firestorm. A little swagger from Acid allows Firestorm to catch a breather before making a comeback. Firestorm has Acid on the ropes until caught with a back elbow. Superkick puts Firestorm down for a super high leg drop from the top, leading to a second pinfall and a victory for Acid. - Jonny Fairplay signs off with a reminder for everyone to tune in next week for more Championship Wrestling USA! Acid comes in rolling. Tough going for Laree. Lordy, I've got to admire Stevens continuing to give it all he's got.